I finally have the Build Newcrest Legacy Challenge Let’t Play Videos uploaded to Youtube! I hope that you all enjoy them and subscribe to my channel. If this is successful I will be recording other Let’s Play Series. Thanks so much for everyone’s continued and future support of me and my blog! You can watch the video below, please subscribe to my channel if you enjoyed the video! Almost exactly a month ago I posted the update below. I have tried to catch everyone up to date to where I was in the game when I wrote this. I have not played the Prospero Family since this update and I can say that everyone is almost caught up with my gameplay! I will always have to be slightly ahead but it feels very daunting when I have so much game play to document on here. 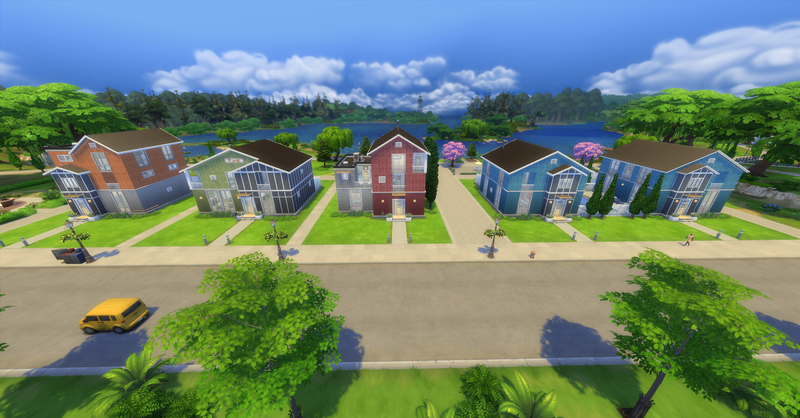 Plus I have my own life and job which has been very demanding recently and of course the new world has come out and I have spent the last few days building the entire town of Newcrest so I can upload it to the Gallery for everyone to enjoy! Don’t worry those new builds will come very soon. Also Simone wrote me a comment on my Newcrest Industrial District post regarding The Lofts lot. One thing I don’t understand – why do you have a lake in the background? I don’t in my game.. I’ve looked in every NC lot and I can’t find that view.. I’m sure I’ve found the right place for the lots now, but ‘the lofts’ look weird.. which way should it be? And how did you make the paths between the lots? The lots were actually created before Newcrest was released in the Commercial District in Willow Creek which is why you see a lake. Unfortunately the 40×30 lot in Newcrest is facing the wrong way for The Lofts. I will be re-releasing a updated version soon, plus more builds as well! I just want to let you know that the updated Industrial District will be available when I release the entire Newcrest world builds. Thank you everyone who has read and supported this blog and I am very excited to share new updates from the Prospero Legacy and new builds soon. Plus a big surprise is coming in the future too!